Zoom is an outstanding modern enterprise with excellent video conferencing and web conferencing service. The main reason why a large number of users choose Zoom is that it has one consistent enterprise experience for all user cases, engineered and optimized to work reliably, with up to 500 video participants along with 10,000 viewers. Even though Zoom comes with paid solutions as well, it is considered as the most affordable one with straightforward pricing. No matter whom you are, individual, businessman, educator or other professions, you will enjoy yourself via Zoom. It provides a wonderful platform for you to join a meeting. Nevertheless, some essential meetings need to be kept for later reference, which draws much attention from users. To rescue you from this troublesome situation, we would like to give two simple ways to guide you how to record Zoom meeting smoothly. As a full-featured video capture, Joyoshare Screen Recorder is equipped with the most top-leading screen recording technology, which can be used to record Zoom meeting in high quality as well as capture any other on-screen activities with few clicks. It is capable of recording not only video but also audio simultaneously so that you can grab microphone and system voice. When you make use of it to record Zoom meeting, you can feel free to select any output formats, including HD MP4, AVI, FLV, SWF, WMV, MKV, MOV, etc, together with any popular devices, like iPhone, Andriod, Xbox, smart TV, etc. What will cheer you up is that Joyoshare Screen Recorder enables you to customize your Zoom meeting recordings, select capturing area by yourself, choose favorable format, set up storage location, make screenshots, highlight cursor, create designated recording time, etc. Aside from Zoom meeting, you have right to apply it to other usages, like recording Facebook video calls, Amazon instant video, GoToMeeting webinar, Yahoo Messenger video chats, etc. You have to spend few seconds on finishing installation for Joyoshare Screen Recorder. Then it can be run on your computer straightly. It is convenient to select a systematic ration, like 320x240, 640x480, 1280x720, full screen, etc, by clicking the drop-down menu located at the "Capture Area". Of course, it is available for you to enter definite width and height number to the frame or drag the pop-up window to decide recording area by press "+" button. To unfold the capturing options, you can simply press the "Gear" icon on the right corner, which is made up of "Basic record options", "Record time options" and "Cursor options", offering facility to choose desirable output format, utilize shortcuts, preset a scheduled task, add effect to cursor, etc. With the exception of these personalized settings, you are entitled to disable "System Audio" or "Microphone Sound" as well, which can help you remove unwanted noise. However, you need to pay attention to that if you close the microphone sound, the recorded Zoom meeting video will be produced without audio. 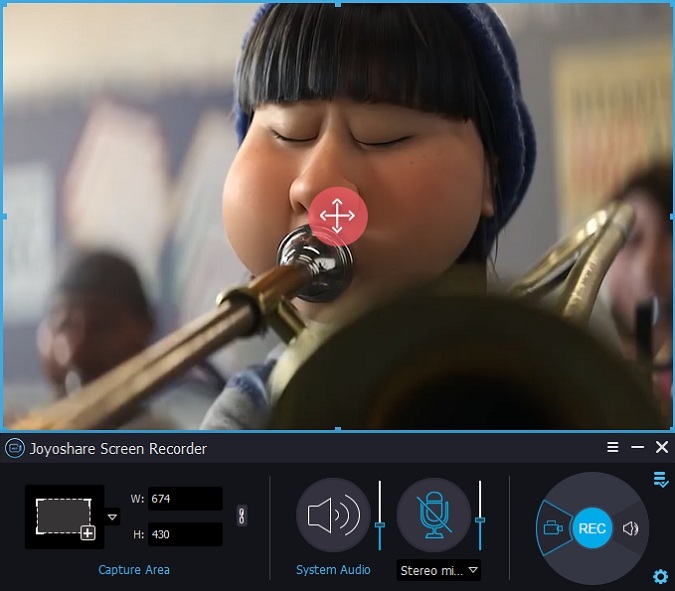 Note: Joyoshare Screen Recorder can work as an independent audio capture, assisting you to record online ratio, music games, streaming music and any other audio tracks. You can save the audio file to MP3, AAC, WAV, FLAC, M4A and M4B. Launch Zoom and start a meeting with others. 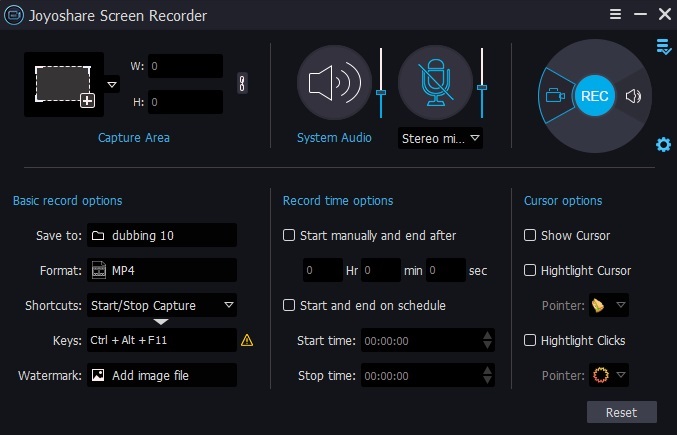 To start record it, click "REC" button on the main interface of Joyoshare Screen Recorder. You can get 3 seconds countdown to make adjustment of your capturing area position. Once begin, any screenshots can be taken anytime. Furthermore, cutting video is also accessible. Joyoshare Screen Recorder includes full supports to manage your captured Zoom meeting files. You can preview Zoom capturing, revise its name, change ID3 tags information, delete or empty files, etc. The second way of recording Zoom meeting is to draw support from local recorder within Zoom, which is regarded as the easiest and quickest solution that is available for both free and paid subscribers. 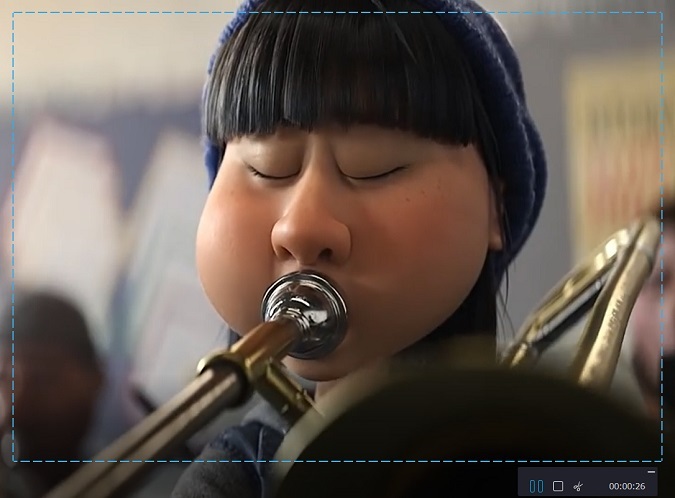 Similar to other professional third-party programs, local recorder allows you to record video as well as audio synchronously, saving captured files to a computer locally and uploading to either public streaming servers or file storage websites, such as YouTube, Vimeo, Google Drive, Dropbox, etc. However, the shortcomings of this local recorder are that it is developed not as dedicated as other recorders in market and can only capture Zoom screen. Anyway, if you in need of recording Zoom meeting with the most accessible way, it is practical. Now, you can refer to following guide. Given that you have installed Zoom on your computer already, you can directly run it and create a Zoom meeting. 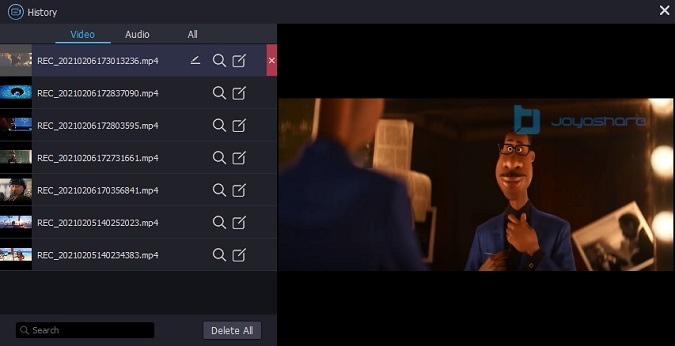 When you on a meeting, locate the menu bar and click the "Record" button on the bottom right position to start recording, from which you can decide whether to record on this computer or record to the cloud. Once Zoom recorder begins to capture, you will see "Pause/Stop" button, which can be used when you need. Upon a Zoom meeting recording is completed, the destination file will automatically be saved as MP4 format. To locate your recorded file, you can go to "Meetings" and press "Recorded" on the top of this interface. Enter it to find all destination Zoom meeting files. Each one can be selected and shared, especially when you are an education or business plan user.